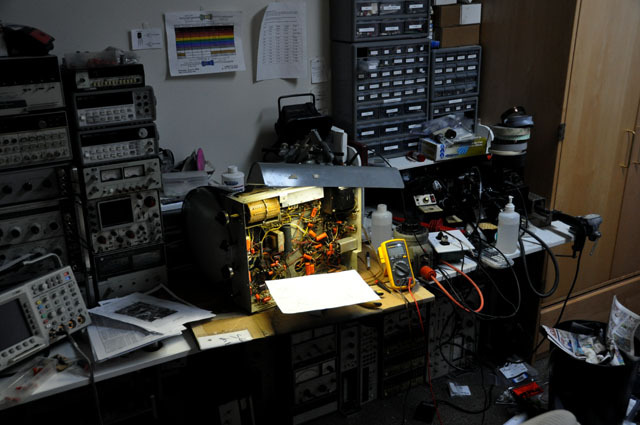 D’Asaro Designs specializes in providing repair and support for legacy electronics that you simply can’t get serviced anywhere else. With a wide variety of parts and equipment, the ability to make parts that are no longer available, and years of experience fixing everything from audio equipment to microwave equipment to furnace controllers, I can fix things that most would not even attempt to work on. Below is a list of equipment types that I frequently work on, but it is in no way complete. My going rate is $50/hr plus the cost of parts. Please contact me if you have equipment that you are interested in having repaired. Other services include microwave device characterization, ROM, PROM, EPROM, EEPROM, FLASH, MPU, CPLD, etc. reading and programming, custom reproductions of NLA electronic parts, and custom electronic design services. Again, please contact me for more information.